This is a very obvious example of the challenges of “self-evaluations.” Self-attribution bias leads us to truly believe that we excel. Self-preservation instincts dampen the guilt of over stating the truth because these results can create positive future options or avoid negative future outcomes. For the undergrad business student, “strong marks = better job opportunities upon graduation” so, go for the A. In a business context, if staffing cuts are looming, do you really want to have a mediocre self-evaluation in the HR file?! I wonder how many of my fellow graduates, decades into their business careers, have grown to learn that actual strength in writing provides a significant advantage in the workplace. The self-evaluation brings the performer’s perspective into the discussion, which is absolutely crucial and applies to an organizational context. In addition to “perspective,” objectivity is also vital and this is enabled by clear criteria. The healthiest criteria mix features both “what you do” (e.g. somewhat controllable; gets at “how” your get results) and “what you accomplish” (e.g. somewhat more impacted by external factors; focussed on outcomes). The evaluation becomes less of an assault on the ego if we can validate that someone did “what was expected” even if they did not “achieve expected results.” This demands some time and effort up front to go through the exercise of making logical connections between activity and results. You have to be ready for a reasoned conversation about what drives performance. This entry was posted in Performance Measures & Scoring, Results-based Development, Training the Right Things and tagged Corporate Culture, Feedback, Goal setting, Leadership, Millenials, Organizational Development, performance indicators, Workplace Rules on September 20, 2017 by chris493. All I really need to know I learned in… Business School? Every once in a while you will see the “Everything important I learned in Kindergarten” claims that list insights like: clean up after yourself, share everything, be nice to others and wash your hands before you eat. I find myself thinking about the responsibility of business schools (especially at the graduate level) to encourage business-ready behaviours in addition to business-ready thinking. A big part of this, in my opinion, is dialling down the teacher-student dynamic whereby the latter is extremely attentive to discerning what the former wants to hear and restricts all commentary accordingly. There is an interesting transition from “what are your expectations for a deliverable?” to “what should I write for the deliverable?” I know managers face the same challenge in dealing with some direct reports. School can be an exciting and stressful time for students and any instructor has to deal with a wide range of behaviours. As an instructor in an MBA program, I frequently use the litmus test of “would this be tolerated/encouraged in an effective workplace?” to determine my responses to some of the more notable cases. Consistent with this, in my opinion, an effective workplace would not have employees pandering in the aforementioned manner to the “bosses,” although I know that such corporate cultures and managerial styles do exist. Surprise and delight – e.g. Wow! I didn’t even ask you to / tell you to do that. Jaw dropping – e.g. Wow! Someone has to ask you / tell you to do (not to do) that? In addition to analysis tools and skills, in addition to practical conceptual frameworks, I think that business schools have a responsibility to promote behaviours that will lead to success in the workplace (and discourage behaviours that won’t). Idealistic as this may be, if we go back to the litmus test, we are looking for behaviours that align with an “effective workplace.” Whether these behaviours are the cause or the effect of business success is an academic question (that could be kicked around a business school!). This entry was posted in Clarifying the Story, Training the Right Things and tagged Corporate Culture, Leadership, MBA, Organizational Development, Schulich School of Business on July 6, 2017 by chris493. Bloomberg published a fascinating article on a potential transition from society’s reliance on the written word to a society that works more heavily in spoken word (e.g. Post-literate) even if that “spoken word” is actually written in short burst (e.g. tweets). Engage in reflexive debate (e.g. “You’re the puppet!”). To the first point, any workplace teems with acronyms and lingo that can convey a great deal of information quickly. We are also quick to hammer such mantras as “we are here for our customers” or “we have to be patient-centred.” Reflexive debate may be visible in more formal meeting environments or can also take place between two people behind closed doors. Unfortunately, such quips are also part of corrosive e-mail chains. The manner in which an organizational culture allows such “debates” can be defining of the work environment. On the other side of the divide, the written word provides the luxury of being able to reference (rather than simply recall) decisions that we have made, policy that we have crafted and lessons that we have learned. In written documentation, we also have the opportunity and responsibility to fully explore a nuanced space, for example, we can describe exactly what “customer-centric decision making” entails beyond the tagline that “the customer is always right.” Further benefits of written communication come to bear when we make such content widely available, which can promote transparency beyond the group that is directly involved. NOTE: I was recently exposed to the acronym RTFM (Read the F@#%! *@g Manual) or RTFI (Read the F@#%! *@g Intranet). The predictable “oral response” to this written barb is: Make Your F@#%! *@g Manuals More Accessible (MTFMMA). Discussion and dialogue are the means of collaboration that are most familiar and effective. In today’s work world, “oral” may not mean just spoken (think “chat” or informal e-mail discussions). The Bloomberg article references Marshall McLuhan’s edict “The medium is the message.” In a workplace, one can expect a blending of media and messages. The written reflexive debate can get ugly very quickly. As an example (ironically), have a look at the written “oral” comments at the bottom of that Bloomberg article. This entry was posted in Clarifying the Story and tagged Collaboration, Corporate Culture, Diversity, Organizational Development, Workplace Rules on November 29, 2016 by chris493. When it comes to performance, the question “How are you doing?” can start a very rich discussion. Do you really want to know? Do we really have a good way to gauge it (except by historical occurrences or lack thereof)? In typical business education fashion, let’s say it depends. Feedback fills a really nice space in an working context, and any survey of employees will say that it is much sought after information. Hopefully the yearly performance evaluation as the sole source of feedback is a thing of the past that left with the move toward “flat” organizational structures and non-linear career development. There is an important difference between “evaluative feedback” and “developmental feedback.” I argue that they are best kept separate in order for feedback to work for both individuals and for contributing to the performance culture of organization. In the evaluation sphere, the guiding question for feedback seems to be, “I am doing awesome, right?” or “Your not going to fire me, are you?” The receiver is primed for positive reinforcement or for some piece of mind that there job is not in jeopardy. This can be driven by a number of things, but ego is probably front and centre. Routinely research will find that much more than 50% of a group will think that they are above average. This creates an unworkable situation in many workplaces where we are striving for performance “excellence,” but those delivering “average” think they are going above an beyond the call. If the tick boxes are “meeting” and “exceeding” expectations, most of those you evaluate will be disappointed with the former even though logic dictates in a performance culture the expectations are high. To further complicate things, the Dunning-Kruger effect suggests that those who are furthest away from “excellence” will think themselves closest to it. If this is the kind of tension that manifests itself in the workplace, it is no wonder that managers find providing feedback a challenge. Who wants to get into a debate about someone’s performance? It becomes so much easier to provide positive feedback or at least put a bigger emphasis on the positive elements, even if those are not the most relevant. (e.g. Don’t worry about the sales results, you had a lot of really good meetings with some very key people.) One of the knock-on effects for an organization is that the standards get relaxed (e.g. the President’s club gets expanded) and there can be a general inflation of any quantified evaluation (e.g. you see more 5 out 5s or 100% ratings). This expands and dilutes your group of top performers. This does not have to be a problem and in many organizations there is a lot of resignation that this is the way it is. On the other end of the bell curve, a similar conflation can happen in that unsatisfactory performance can get bumped up to “satisfactory” or better (which is actually much worse). If you are after high performance, this situation could not be worse. Your very high performers will be group in with the “average,” and the “below average” are convinced that they are doing their job. The nuanced difference with this kind of feedback is that everyone can improve: good enough is never good enough. There is a an apocryphal anecdote about Prince and his back-up band the Revolution. When working on a new number, the band members were encouraged to let Prince know if they mastered their part during the rehearsal period. He would be ready with an extra guitar lick, a percussion part, a dance move, a vocal harmonization, etc., to keep them occupied while the rest of the band worked on their parts. The message being, don’t hide the fact that you can handle more. With evaluation in place, too often people direct effort based on the location of the goal line. This is why those who are being evaluated complain when we “move the goal posts.” With an evaluative set-up, your most capable performers (especially those who understand the system), know exactly how much effort to expend to meet the given bar and not make the next one any higher. I worked with a sales manager, who was surgical about meeting budgets almost to the penny (nickle?) and mysteriously having a bunch of business “just come in” in the early weeks fo the new quarter. The fear of having the goal posts moved based on an extraordinary result is a function of the evaluative context. The risking of falling short is enough of an incentive to launch very elaborate gaming of the system. For lower-level performers, you get the opposite behaviour where people will sacrifice “next quarter” in order to drive short-term results. Picture the account manager who is pushing a major client to close business to meet the end of their quarter, and goes as far as to extend an exploding offer in the flavour of “If I can’t get your commitment on the renewal before next week, I am not sure that we can extend the same offer.” Picture also the predictable response from the major client saying: “We will make our decisions based on our financial year, not yours. Thanks very much and we will talk to you in about 6 weeks and will be expecting at least as good a deal as you just described.” It is hard to say whether such an exchange would actually hurt next years’ arrangement, but I suspect there would be some future blow back. With a developmental mindset, we can entertain stretch goals without worrying about people feeling that they “failed” by achieving 89% of a really challenging goal. The “evaluated outcome” is immaterial; the direction (e.g. forward) is the only thing that matters (so it is crucial to have a shared understanding of what “forward” looks like). The focus is simply what went well and what could be better next time. In the world of work, this will equate to drawing attention to something that had to “give” to meet a deadline, achieve a client outcome, etc. In the “developmental world,” this won’t be seen as “Great job, but…” There will be a thirst and expectation for some reflection on how could this be even better, or more sustainable, or less contentious, or… some other desirable—even aspirational—attribute. This is the drummer for the revolution keeping great rhythm, nailing the drum solo, and working on a juggling move for next time. The flavours of feedback have very different intent: evaluative feedback seeks to differentiate performance, (e.g. separating the wheat from the chaff), while developmental performance doesn’t care how you stack up, (e.g. how could you improve?). Here are the very predictable outcomes you can expect from not distinguishing between these types of feedback. Just-enoughing: As mentioned above, giving exactly enough effort to attain the prescribed “goal.” A friend of mine joked about the grading at our alma mater, McGill University, saying there are only two grades you should get: 85%, which was the minimum to getting an “A” (this was the highest grade, so any effort beyond this had no impact), and 56%, which was the minimum to get your credit. The thinking being, you certainly don’t want to fail, but unless you are getting an “A,” the grade doesn’t matter. Sandbagging: In setting the original goal, you can count on active negotiation to establish a bar that they are certain they can attain, but they convince you that it is a stretch goal. In client-facing activities, this is called managing expectations. This may be avoided by splitting up the types of feedback. Skinner-boxing: When attempts motivate involve evaluation and reward, you can create a stimulus-response dynamic where you feel that the only way to maintain performance is to continue offering tangible rewards. Peak performance has to include some intrinsic drive. Any theory of human motivation takes us beyond the gun-for-hire, will-work-for-rewards mindset. Under performers are always an interesting group. Jack Welch had an answer for this group (identified as being in the bottom 10%): Fire them. As cold-hearted as that seems, the compassionate view is that the situation is not working for either party. There is something about the context that is not working. You will find a context that is a better fit for you. It’s not you… it’s us (and you). When you are able to separate the results from the development, you can get a cleaner look at what is not working. If it can’t be fixed, maybe the “exit” is best for all involved. For the developmental conversation, there is no differentiating. Everyone is tagged for improvement. The evaluation decisions you make have a huge impact on the culture of the organization because you will get the behaviour that you reinforce. Bringing performance out in the open will create pressure to align with existing systems and practices. The mindset when approaching a top-performer has to be around tapping into intrinsic areas to maintain motivation. What can we do to help you be even better? What can we do to help you develop in ways that you want to? The approach for the “average” employee should balance the possibility that the person could be performing at a higher level, but chooses not to. As an organization, are we OK with someone phoning it in and delivering adequate results? There will also be those who work really hard for adequate results. Can those two archetypes co-exist? If performance and accountability are part of the fabric of your organization, healthy churn on the lower end of performance will mitigate churn at the top end because results do matter. Many organizations (but not all) will want to keep a compassion and understanding about underperformance because every industry has external factors. If sales are down because no one is buying, do we really judge by results only? Again, curiosity should be the driving force toward those who are not delivering to the level they should be. Did we not do a good job of assessing potential at onboarding? Has the work environment changed such that your best effort is no longer good enough? The way in which an organization handles performance has a huge impact on the culture. This is a complex collision of scientific evaluation, individual motivation and the art of collaboration. Drawing a clear divide between the development and the evaluation will give you a better chance at getting and sustaining the desired performance. This entry was posted in Performance Measures & Scoring, Results-based Development and tagged Corporate Culture, Feedback, Goal setting, Organizational Development, performance indicators on September 7, 2016 by chris493. We have a diversity problem? Who says? Earlier this month, Chris MacDonald wrote about diversity programs and why they fail. The list of reasons includes breeding resentment toward the marginalized group for causing additional work. This very realistic (and wholly unintended) consequence is textbook irony. Those attached to an initiative that goes sideways in this manner will exhaust all credibility in affecting future cultural shifts in their organization. This is the danger when efforts are made to solve a “problem” that has yet to be defined and properly contextualized. Lots of aspirational words drive efforts to change a culture: innovation, efficiency, collaboration, accountability and, of course, diversity. Each of these aspirational (and metaphorical) sticks has a wrong end that is easily grasped. It is well worth taking a step back to ask some critical questions about the current state before launching your program to increase <<insert aspirational noun>>. In a knowledge-driven industry? Diversity in approach among your staff will drive better insights. Afraid of not complying to regulations? Get out in front of this one. Embroiled in the war on talent? A focus on diversity might boost your Glassdoor reputation. Seeing well-heeled competitors poach your top-talent? Earn loyalty by doing the right thing. “The right thing” is in the eye of the beholder. You may run into leaders who feels that, for example, earning loyalty from our employees does not justify the time, energy, dollars, risk, etc. of the investment in your initiative. Such push back may reveal some pervasive cultural attitudes toward employees. As one of those employees, rather than affect the culture, you may rethink your decision to continue working there. This entry was posted in Uncategorized and tagged Chris MacDonald, Corporate Culture, Diversity, Leadership, Millenials, Organizational Development, Workplace Rules on July 12, 2016 by chris493. Let’s describe “an organization” as a collection of people with some degree of shared purpose (what we are doing) interacting within norms of some similarity (how we do things). The “how we do things” can be dictated by formal policies, guiding language and/or understood norms. Each workplace context, in my experience, is different, so a brilliant element from one context does not guarantee success in another. So questions like “what if Disney ran your hospital?” make me cringe, as would an efforts to replicate Google’s success by adopting its famed policy of mandating one day per week to work on things unrelated to your job. By their very nature, “rules” tend to have “exceptions,” which brings additional complexity, as does the ability and willingness to enforce the rules. There are also predictable negative responses to overt rules and guidelines. For illustrative purposes, and to take a break from conceptual discussions, let’s look at a tangible example of one “rule” and its impact: the off-leash dog park. If this environment were a workplace, the misalignment between this stated rule and the observed behaviours would create a poisonous culture. 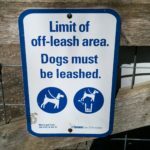 NOTE: At the risk of stating the obvious, the “off-leash” part of these particular parks suggests that it is OK to have your dog “off leash” in this area, and “against the rules” to have dogs “off leash” in other areas. If there is a rule that no one follows, let’s call it a bad rule. Well meaning people don’t follow “bad rules” because it is nonsensical and enforcement is sporadic at best. (e.g. keep the dog on leash when the bylaw officer is around). The logic of some rules can conger up Jerry Seinfeld’s comedic questioning of the California motorcycle helmet law intended to protect a brain whose judgement was so poor as to ride at high speeds with no protection whatsoever. 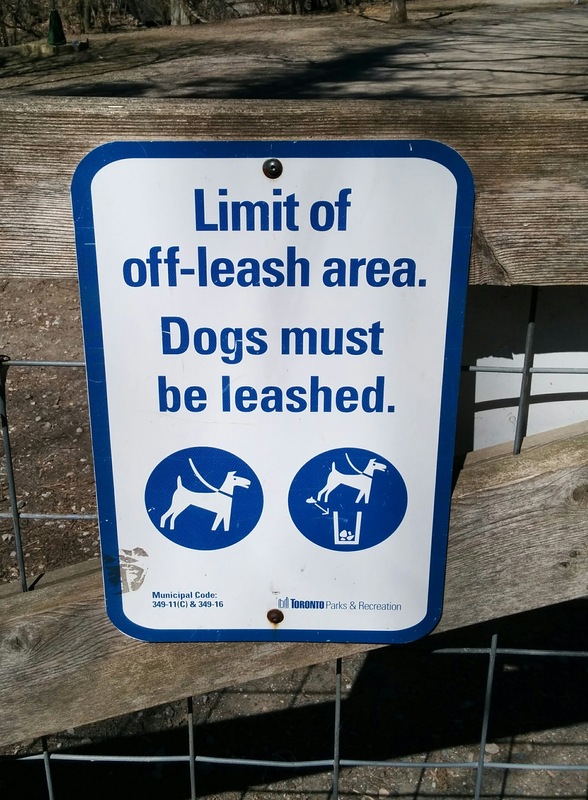 So, if the “off-leash” rule is a good rule, let’s explain some of the underlying logic: this creates designated space creates where people can’t complain about the dogs being off leash. If you don’t like being around dogs that are off leash, don’t go in there. As both a dog owner and a parkland runner, that is the exact reason why I choose not to run in the off leash areas. Make sense? There are competing ways to explain this one with differing levels of empathy toward the infractor. Aaron James, in his book “Assholes: A theory” suggests that one quick way to identify his study subject is to listen for “do you know who I am?” as a response to any assertion of rules and norms. The quip implies that if you did know, you would know that I constitute an exception to the rule. I have witnessed interactions on December 26th taking place across a counter with bold signage, “No Returns on Boxing Day.” To my chagrin, as one who appreciates good rules, the manager made “an exception” further reinforcing the attitude that the rule applies to those who don’t have the nerve (or lack of shame) to push back. So back to the underlying logic: can we say that, in general, we don’t want dogs hurting or startling other people? Hurting is after the fact, which makes it tough and invokes another set of rules for dogs who have bitten. Startling can be in the eye of the beholder (e.g. don’t worry, he’s friendly offers little assurance), so, if you are easily startled, don’t go in off-leash area. Does that make sense? Even good rules have an uphill battle. David Rock’s SCARF model reveals that we have an uncontrolled neuro-biological resistance to anything that threatens out Autonomy (e.g. my ability to determine what is right for me). External rules are a direct assault on this, which makes any attempt to provide constraints on behaviour an uphill battle. We all have different levels of self-imposed guidelines of what we will and will not do, so if we are shaping our own behaviour, this resistance can be reduced. Some nuanced discussion can align some underlying self-regulators with external constraints. So, the speed limit on the highway is not about a number, it is about driving safely. The sign on the post of the off-leash area is not about a boundary, but about what people can expect in different public spaces. Shoring up this space also takes the pressure off enforcement because you are doing the “right thing” for your own reasons. If you can impact the “rules” in your organization, shine a light on good rules and stamp out bad ones. In drawing distinctions between good and bad rules, try to look at the underlying logic of what we are trying to encourage, discourage or prevent. If you are stuck with bad rules (especially if they are sporadically enforced), find the underlying self-regulator and use that as your own rule. If you are “called out,” at least you are prepared for your side of the “why?” conversation. All the best creating and shaping the rules by which you roll. This entry was posted in The Role of Rules, Training the Right Things and tagged Collaboration, Corporate Culture, Organizational Development, Rules and Ethics, Workplace Rules on April 29, 2016 by chris493. Earlier this month the Financial Post magazine did its feature on MBA programs part of which was MBA alumni commenting on how their education contributed to their success. Ellis Jacob (CEO of Cineplex) and Jennifer Reynolds (CEO of Women in Capital Markets) both provided excellent reinforcement of the benefits of getting a grounding in business education. From my perspective as an instructor in an MBA program, this is heartening reinforcement from the real world. An additional common theme was a little less comforting to me: both of these leaders talked about the drive to complete the program as quickly as possible. I understand this urgency, and my discomfort is not so much in a student being anxious to get on with their career, but in the temptation to see the gaining of a credential as the secret to success rather than the rigour and thinking skills that one should develop in such a program. In the Nobel-prize-winning work Think Fast and Slow, Daniel Kahneman shares how ill equipped we are to make reasoned decisions because the part of our brain that houses this competency is lazy and is quick to defer to our automatic but less thoughtful brain. Rushing through an MBA program may feel like speed meditating for quick enlightenment. The somewhat clichéd description of higher education can be “learning how to think.” From my experience with business education (on both sides of the chalk), the real world is a wonderful, yet unforgiving forum to test your thinking and your credentials. As MBAs become more pervasive in the workplace, my hope is that the “slow learning” at the school of the real world further strengthens the educational grounding and helps this particular credential to improve with experience. This entry was posted in Training the Right Things, Uncategorized and tagged Leadership, Organizational Development, Schulich School of Business on March 21, 2016 by chris493. A look at the article’s comments section (which is always a dangerous move), reveals everything you need to know about the multitude of issues attached to the surprisingly complex word. Doubts and critiques expose some deep philosophical questions, as well as some statements that one is surprised to see in a written format (or not surprised, if you tend to read the comments section of publications). Consistent with 2, ideas vary on whether an organization needs it and, if so, how best to get it. One of the ideas that the article attacks is diversity as a “tick-the-box activity. Fittingly, differing narratives surrounding “diversity” brings one critique that states the box-ticking organizations actually deserve credit because at least they are doing something! Is it reasonable to say that the merits of box-ticking depends on the contents of the box? There may be some consensus that filling the ranks with “the token [insert statistically under represented group member]” probably doesn’t work for anyone. (But I can imagine being challenged on that statement.) So, we should stay away from those kind of boxes. Similarly, awareness building (especially when the topic is on heavy rotation in media) can also wear thin. So, maybe it’s not enough to “tick the box” on the Diversity Lunch & Learns. This is by no means an exhaustive list, nor is it a collection of best practices. Well-intended efforts to “do the right thing” can quickly get lost in the contentious world-view debates that risks making the situation worse. We are convinced in the merits of digging into an idea like diversity to understand how it fits into the business and find some clear ways to track the progress of distinct efforts even if that means ticking some boxes… but only the good boxes. This entry was posted in Performance Measures & Scoring, Training the Right Things, Uncategorized and tagged Diversity, logical connections, Organizational Development, performance indicators, Rules and Ethics on February 18, 2016 by chris493. How it really works… are you sure you want to know? Service organizations that rely on a great deal of informal collaboration may be in for a rough ride when their employee base becomes increasingly millennial. A number of years ago, Art Kleiner put forward the theory that every organization has a “core group.” This group is the collection of individuals whose blessing is required to get things done. If the core group wants it to happen, chances are it will. Conversely, without this group’s support, any initiative is sure to fail. Even if you are in the core group, you have to lobby fellow core-group members in order to move anything forward. More recently, discussion have arisen over the shifting demographic wave of the millennial cohort. These digital natives are purportedly a completely different breed (“Aren’t all younger groups different?” one asks, only to have smart HR-types state, with a trace of dread, “No these ones are a different kind of different.”) The need for transparency is one consistent expectation that emanates from this group. So a rock-and-a-hard-place situation can arise as the informal group that drives the success of the organization may have to respond to a growing chunk of employees who want to have this explained to them. If this were a private club, one would dismiss the group as crass: “Pay attention and figure it out for yourself!.” Yet ignoring their pleas for an explanation is risky when the future success of your organization depends on attracting and retaining talent from this exact group. Measure of Success is launching a “playbook” product that aims to identify “how it really works” by looking a core performance elements. This is a senior team/ core group document that attempts to articulate the important parts of the business and culture, without destroying the particularities of any organization. Informally articulating direction, approach and performance measures among the core group can help in relaying a consistent message to those newer to the workforce. NOTE: This was originally posted in the LinkedIn discussion group for CAAP Community for Branding Professionals in September of 2015. This entry was posted in Clarifying the Story and tagged Art Kleiner, Corporate Culture, Millenials, Organizational Development, Playbook, Workplace Rules on September 15, 2015 by chris493. Can logic models work for you? The “logic model” is a tool that is widely used in public and social sector initiatives. Like any tool, there are obvious on-target applications (e.g. hammer for inserting nail) as well as more creative applications (e.g. hammer to open a paint can). In all cases, the user is responsible for picking the right tool for the application. To me, there is relevance for the logic model in the private sector because this tool can expose assumptions (logical or not) and bring rigour to the thinking. Here is a quick primer on logic models, followed by some suggestions on if/how/when to use it for your business. Inputs – These are resources that we control and choose to deploy toward the end objective. This is usually about money and time. Energy fits in here, too. Outputs – This is what we create or produce or get from expending the “input” resources. This could be a report, the provision of a service, creation of some capacity, etc. Outcomes – What we get helps us out in some way. This is the specific way in which it helps us out. We are better able to do something or something is improved because of the output created from the inputs. Impact – This is the higher order calling of the whole endeavour. What did we set out to address in the first place? This is what we were after all along. The thing about logic is that it can seem both commonsensical and obvious, while also seeming a bit opaque. To alleviate the latter, here is a quick example: Our agency leader (who believes that “provider of insight” is the way to success) might have the following idea. Let’s get some of our junior staff to work on developing industry reports that capture both analyst information, as well as “chatter” from social networks. They will create an overview document as a summer project, and monitor/update on an ongoing basis. Our senior account people will refer to these before client meetings, and also share insights gained from the direct client interaction. Outputs – The actual document, once it is created. The document is actually updated. Outcomes – Senior account staff go to meetings with broad industry knowledge that they use to: (1) demonstrate knowledge to clients; (2) share value-adding insights; (3) initiate strategic conversations, etc. Note: The understood “we hope” as a qualifier gets louder with each step of the model. Really thinking through these connections demands a good degree of effort and will: what do we want to “impact”? And how we will actually go about getting there? To illustrate the difficulty, recall the success of the ALS Ice Bucket Challenge. (Remember, this space is the sweet spot of the logic model). This was a huge success in gaining awareness (Mel B. did the challenge on America’s Got Talent! ), but you may still ask: “So what? Are those afflicted by ALS better off? If so, how?” You can imagine that asking such questions without being labelled as “doubter,” “hater,” “loser,” etc., would be no mean achievement. This is an inherent challenge of such models. People don’t like to have the gaps in their logic exposed. To use this tool effectively, leadership has to be comfortable explaining their logic (e.g. “provider of insight” beats “meeter of needs) and the followership has to be comfortable trying it out (if they don’t believe it in the first place). Input to output questions: What are we getting for all these hours that we have put into research? Output to outcomes: Is our new report, tool, capacity, etc. actually contributing to something that we are using, noticing, applying, etc.? Outcomes to impact: Is our idea of the “means to the end” actually playing out? What do we really want here? What are we trying to achieve anyway? This is the kind of thinking that goes into our “performance playbook” process to help ensure that the measures you are choosing hang together with the logic under which you are operating. This entry was posted in Performance Measures & Scoring, Uncategorized and tagged Leadership, Logic Models, logical connections, Organizational Development, performance indicators, Social Impact on August 13, 2015 by chris493.